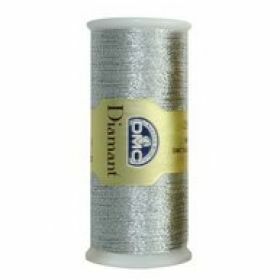 DMC 'Diamant' hand embroidery thread is available in 12 colours. Its appealing, high quality shades will add a luxurious feel & definition to any design. Viscose fibres are wrapped in a metallised polyester coating followed by a silicone treatment; this treatment helps the thread glide through fabrics without damaging them. 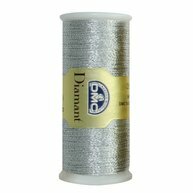 DMC Diamant can be used on all sorts of fabric to add a rich looking effect.